Nong Nooch Gardens: what are they? 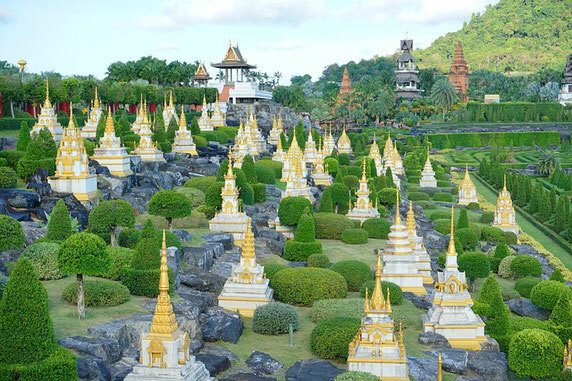 In Thailand, in the province of Chonburi, precisely between the resorts of Pattaya and Sattahip, there are the Nong Nooch Gardens, wonderful tropical gardens including numerous species of ornamental plants and a vast assortment of floral plants, all belonging to the native flora. It is a real tourist attraction, fully equipped to accommodate a large audience of visitors, consisting of restaurants, bars, spaces usable for lunches or parties, and residential housing. There is also a large swimming pool. This structure was opened to the public in 1980, and immediately distinguished itself not only as a scenic and naturalistic attraction (it is in fact home to a world botanical center, with the largest natural collection of palms and orchids throughout Thailand), but also for the daily shows with elephants, and above all for cultural attractions of various kinds. In this regard, the Dinosaur Valley, a historical reconstruction of the ancient geological eras when the territory was populated by dinosaurs, represents an absolute novelty in this area, for the life-size reconstruction of some of the most studied dinosaurs of the Cretaceous and Jurassic period, among which the Triceratops and the Tirranosaurus Rex. Accanto a queste attrattive, i Giardini ospitano numerosi esemplari appartenenti alla fauna selvatica indigena. Per tali motivi, i Nong Nooch Gardens svolgono innumerevoli attività di ricerca, di divulgazione e di educazione scientifica rivolte al pubblico di ogni età, che ogni giorno si reca in visita ai giardini (sono circa 5000 le presenze quotidiane). Pattaya, and bought it with the intent of turning it into a plantation of fruit trees (coconuts, mangoes and oranges). 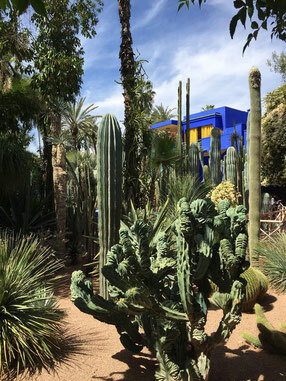 Subsequently, Mrs. Nongnooch preferred to use the vast plot of land to grow ornamental plants and flowers of all kinds, and recreate the atmosphere of some of the wonderful gardens she had visited, during her many travels around the world. 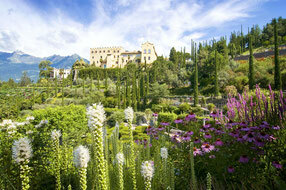 From this initial project, the current Gardens were born, which were named with the name of its founder. 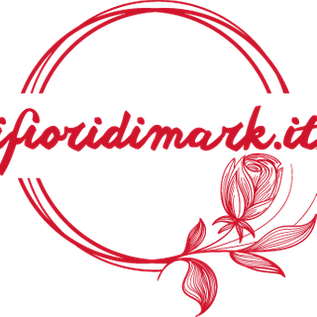 Even the Garden of pink flamingos and butterflies are a sensational attraction, without forgetting the presence of a beautiful Renaissance garden in Italian style, which houses many marble statues imported directly from Italy. There is also the famous Caribbean Walk, a walkway that winds between palm trees and plants from the Caribbean. The beauty of these natural corners can also be admired from above, due to the presence of some suspended bridges and panoramic terraces. One of the most original features of this natural park is represented by the presence of many carved hedges, which depict the silhouettes of animals or other characteristic subjects. There are also pagodas and residences in typical Thai style, which you can visit. A trip to the Nongnooch Gardens can not neglect the participation in the picturesque religious services, the martial arts demonstrations, the Thai massage sessions and, above all, the elephant shows that probably represent the most typical attraction of the whole structure. 34/1 Moo 7 Najomtien District, Sattahip. For the park, every day from 8 am to 6 pm. For the restaurant open up to 10 pm, 365 days a year, including holidays.